I come from VERY good stock. 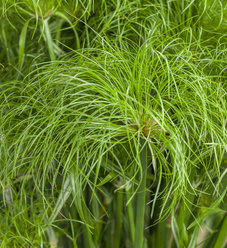 Cyperus Papyrus is not hardy enough to survive winters with freezing temperatures and it is not a candidate to overwinter inside. 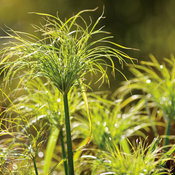 It is a very fast grower and will quickly grow to impressive size when replanted in the spring. 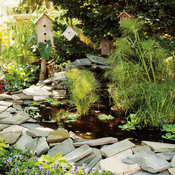 The plant can be planted in pots, along the waters edge of a pond, or even in a pond. 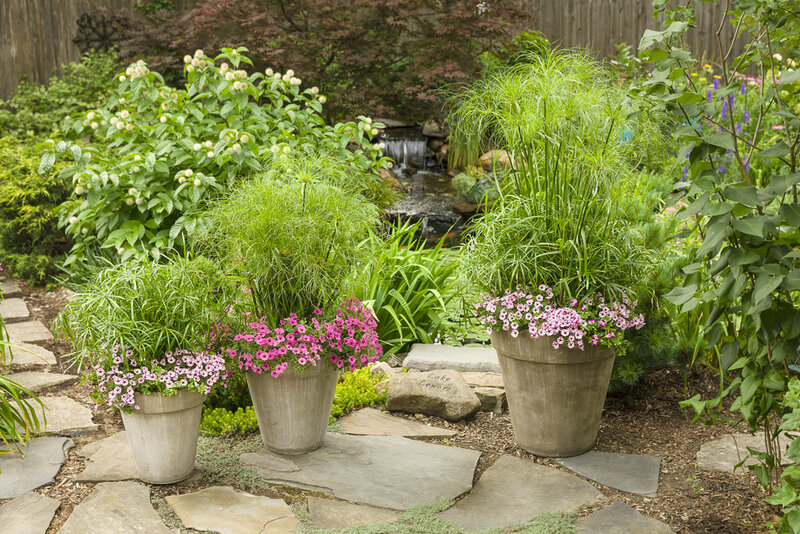 The crown of the plant should never be covered in water and in fact both of these varieties can thrive in water as shallow as a few inches. 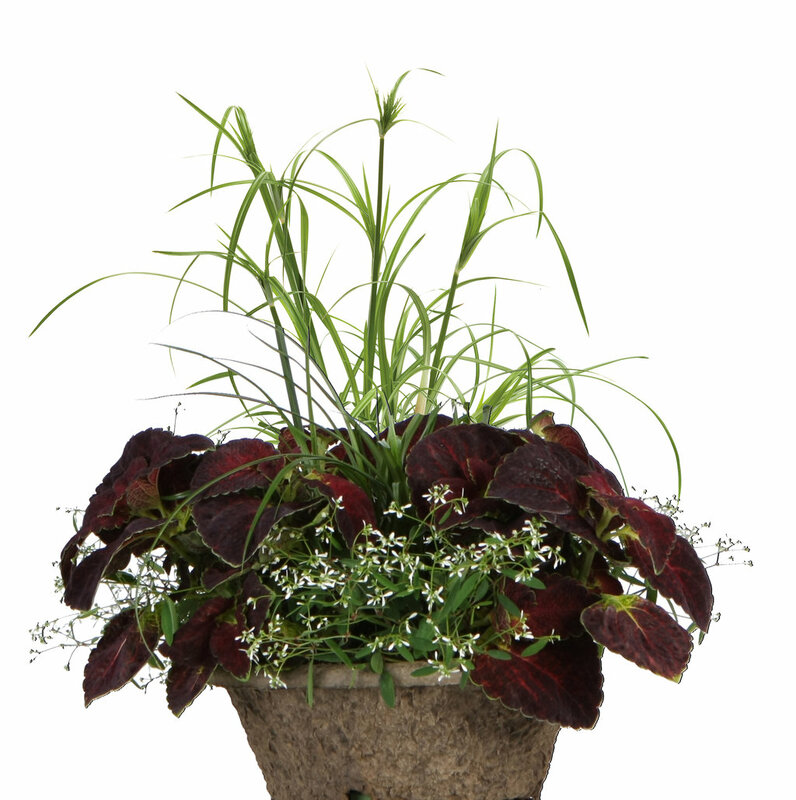 The purpose is to keep the bulk of the soil or root mass wet. The root ball can be submerged but it isn't necessary. If the plant is put into a pot I would suggest plugging the hole or holes in the bottom of the pot to keep as much water as possible in the pot. King Tut will also do well when planted in normal garden beds. 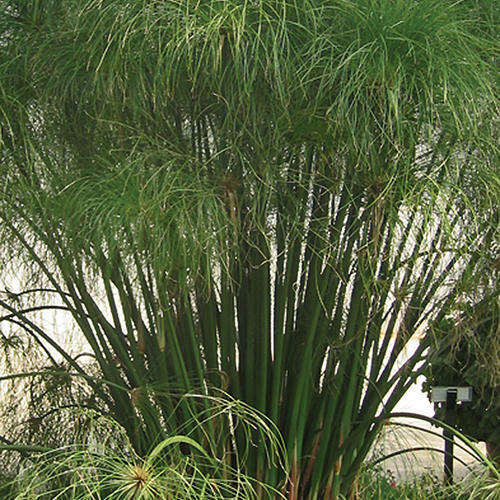 It is best to keep the soil moist, but once established King Tut has proven to be surprisingly tolerant of dry conditions. 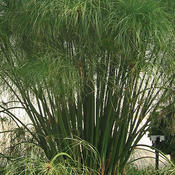 King Tut is an evergreen or neutral grass. 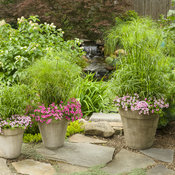 Where temperatures get colder than 35 degrees F, the plants should be treated as annuals. Once the grass turns brown it can either be removed immediately or removed in the spring. It should not be expected to live through the winter and begin growing again in the spring. 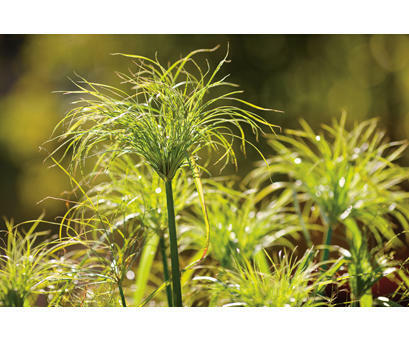 In areas where winter temperatures remain above 35 degrees it should be considered a perennial and the following information should be useful. 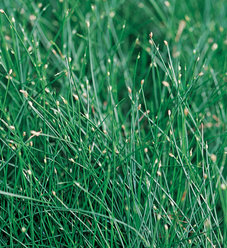 Evergreen or neutral grasses are usually plants that look like grasses but aren't actually classified as grasses, they are generally called grass-like plants. 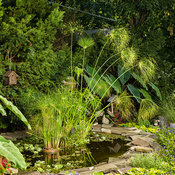 Divide evergreen or neutral grasses and grass-like plants in spring only. 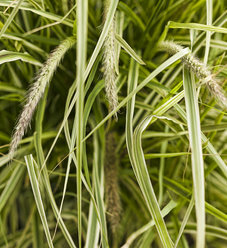 Evergreen grasses don't ever go dormant. Dividing plants wounds them to some degree. 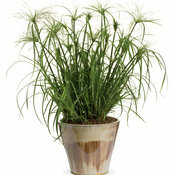 For evergreen grasses this wounding will really affect their ability to live through the winter. Fine Gardening Magazine 2008 Trial Garden Recommendation. 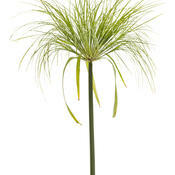 I liked this plant but it was a bit too high maintenance for me. Required a LOT of water. If allowed to dry out, the flower stalks will collapse and can't be fixed. 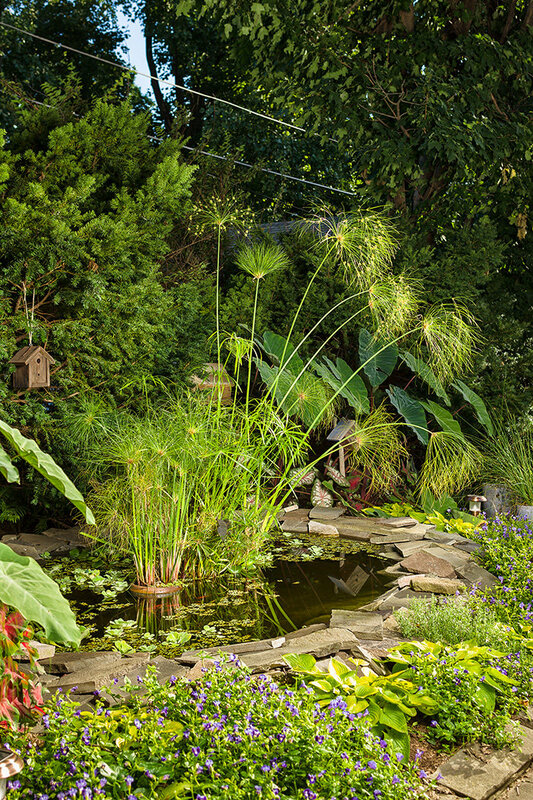 As the summer tends to dry out, it becomes more and more attention hungry, requiring watering multiple times a day. I found the Prince Tut to be better suited for my style of gardening (containers). The flowers were shorter, but didn't have to bear the extra weight and therefore didn't fall over if allowed to get too dry. I bought these last year from here, and I must say I was truly impressed with the size and the packing, Just wonderful. 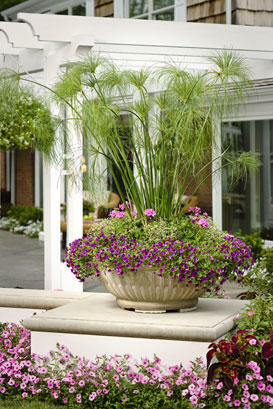 I have used King Tut for the past 5 or so years in Large planters and just love the look it gives. Last year I could not find locally so I bought from here and will continue to buy from here rather than look elsewhere as these were much better plants than I had gotten anywhere else and there was no wait time for the plants to recover like I have had in the past with other vendors. A great experience with Proven Winners. Thank You So Much. This papyrus is even better than the font! Contrary to most reviews, our King Tut is beginning its third season in our garden after the last two winters indoors with us. I will admit it's not thriving but we have divided into two pots this spring and expect with more room to see it produce many more shoots this summer. I love this plant by itself and in large container gardens. Always part of my planting plan. 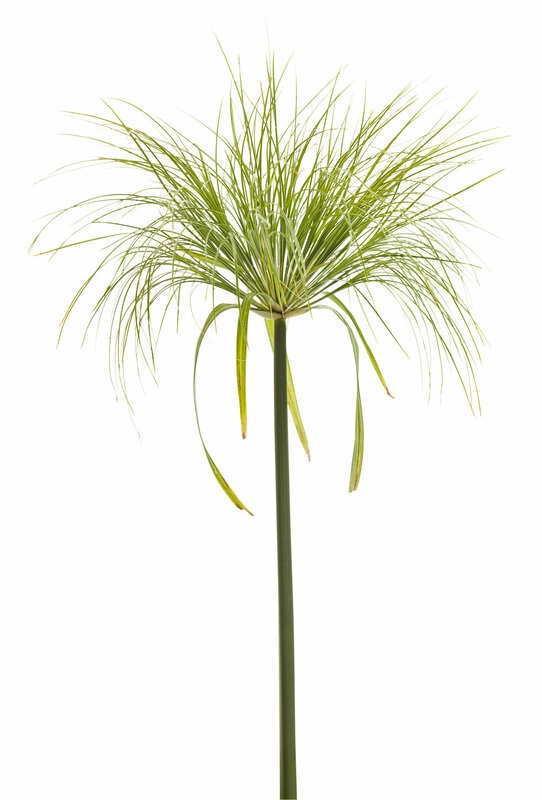 This is a very unique plant, it is quite a show piece. You need to keep it staked up if you have a lot of wind. I purchased this plant in a grouping pot. Loved it all season. Just wish it would winter over in my area. It does produce seed so I am going to try to harvest some seed to plant next season. 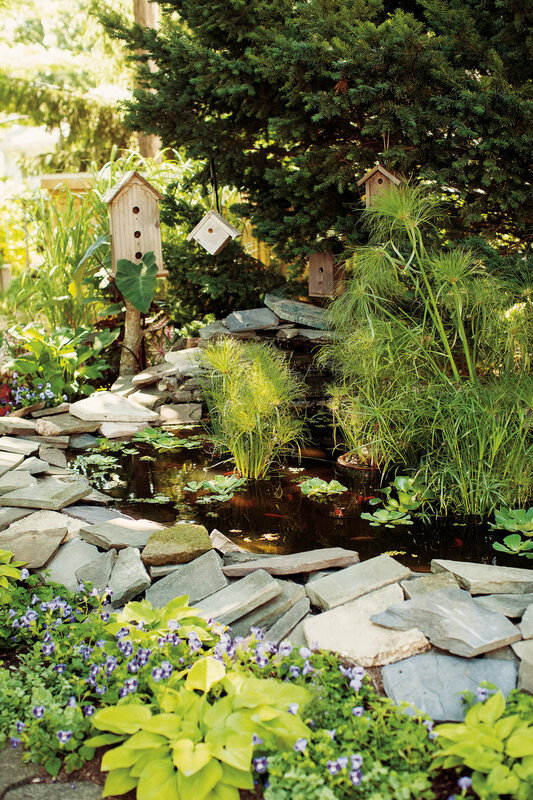 A great eye catcher in the garden. Bought this "Proven Winner" for my balcony (southern exposure).. 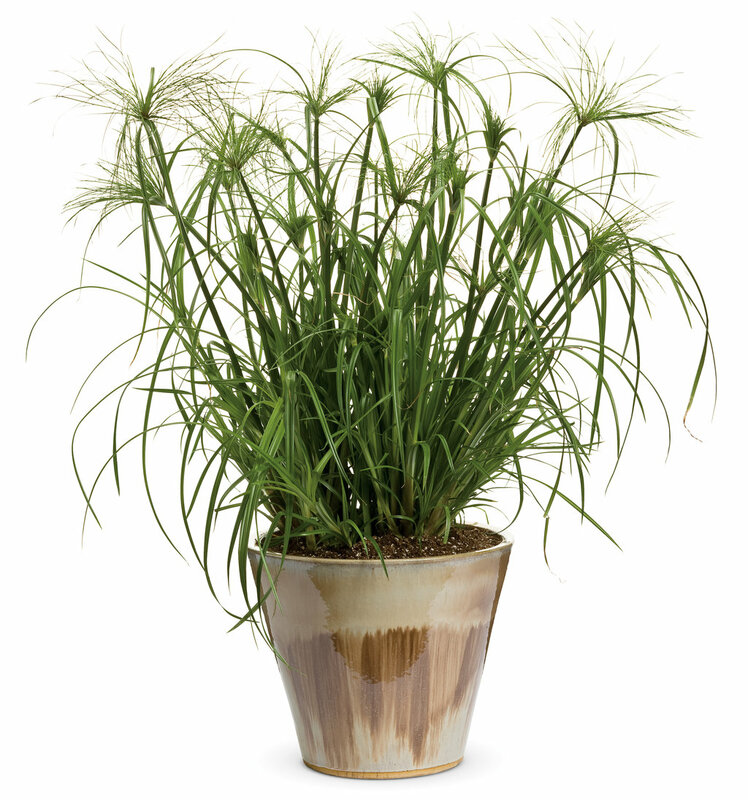 Exceptional plant that will grow tall enough to provide some screening for privacy on balcony. Easy care plant compared to other annuals, however I do use spiral stakes to help keep some of the floppier stalks upright. 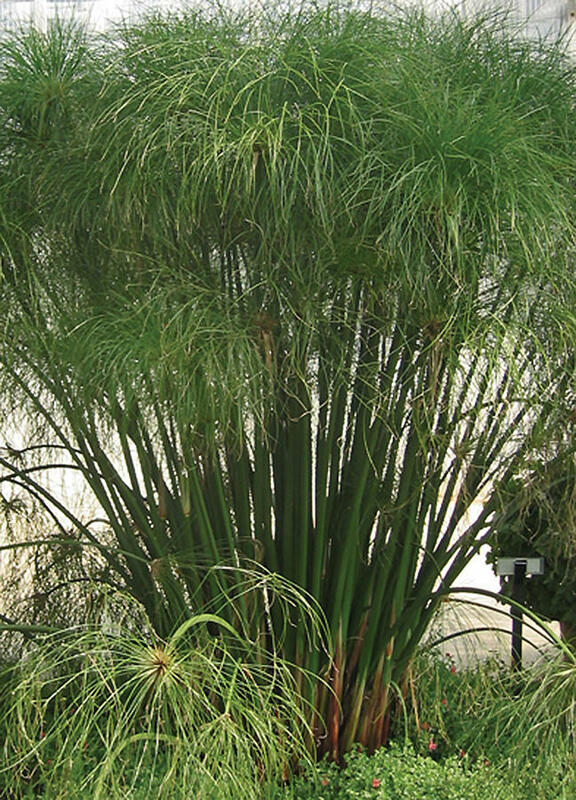 (the spikey heads of the stalks can be quite large and pull stalks over somewhat) This is one funky looking plant and everyone who passes by likes it and asks what it is. I consider the $12.99 I paid for it in the spring to be THE BEST BUY this season. Be sure to give it a BIG pot as I had to repot after only one month....vigorous grower. (it is mid July and mine is already 5 feet tall) We have just had a major heat wave and this plant showed no signs of stress or damage. I will be sure to purchase this plant again every year for my balcony.